You must read now the most exiting life story to understand what the will power, courage and determination can guide the destiny of a young woman in one lifetime. The White Bow is a rich autobiography of a family struggling through tough and merciful times in Central Europe and ex-Yugoslavia after World War II. As a child, Aleksandra Veble grew up loving, sweet, resilient, rebellious and very much independent young woman who defied the firmly entrenched male dominant world of Slovenia, Beirut, Baghdad and much of Europe. 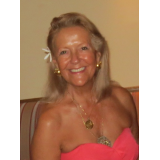 Aleksandra developed an iron will and extraordinary strength to survive childhood abuse, communist tyranny, civil war Lebanon and terrorism in Lebanon and social injustice to ultimately celebrate a triumph over adversity. The White Bow is a rich narrative encompassing three generations and countless countries, is ultimately a gripping real love story as well as an adventure filled with a cast of unforgettable characters. The White Bowthe best book ever! The White Bow is a rich autobiography of a family struggling through tough and merciful times in Central Europe and ex-Yugoslavia after World War II. As a child, Aleksandra Veble grew up loving, sweet, resilient, rebellious and very much independent young woman who defied the firmly entrenched male dominant world of Slovenia, Beirut, Baghdad and much of Europe. Aleksandra developed an iron will and extraordinary strength to survive childhood abuse, communist tyranny, civil war Lebanon and terrorism in Lebanon and social injustice to ultimately celebrate a triumph over adversity. 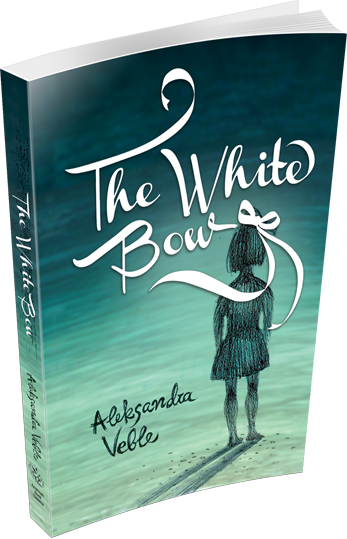 The White Bow is a rich narrative encompassing three generations and countless countries, is ultimately a gripping real love story as well as an adventure filled with a cast of unforgettable characters. Publisher: American Book Publisher ISBN 978-1-58982-693-9 (acid-free paper) Read me, to know me better and you will never forget me.